Plastic products such as garden furniture, White UPVC windows and doors are very durable but they are prone to marking and dirt build up over time. 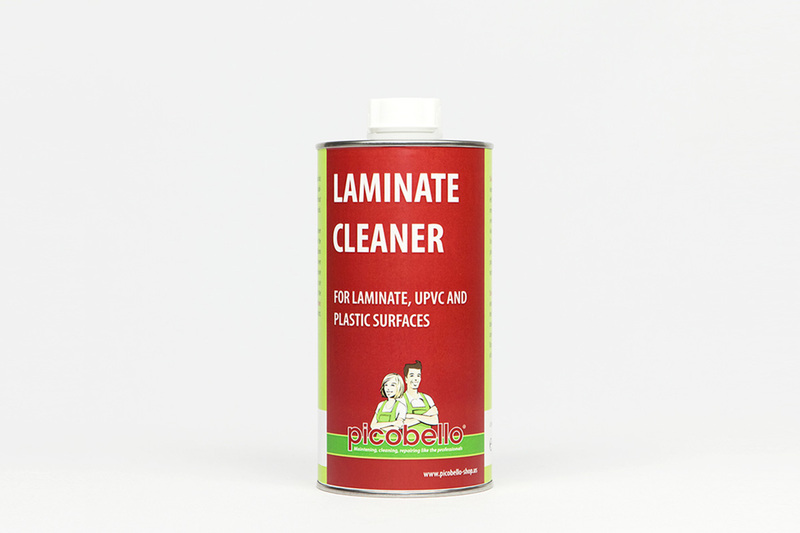 The Picobello Laminate and Plastic Cleaner removes the dirt build up but is also ideal for minor discolorations, grease, fingerprints etc. It is best applied with the Lint Free Cloths, or the Picobello Sanding and Polishing Pad for very stubborn marks. Apply Laminate and Plastic Cleaner on to a lint free cotton cloth and wipe over the surface using light pressure. In cases of stubborn marks, repeat procedure. If necessary, wipe over with a dry cotton cloth. Hint: For intensive cleaning (e.g. removal of discolouration), use Laminate and Plastic Cleaner together with the Sanding and Polishing Cloth (white side). Note: Check compatibility on an inconspicuous area first.